What’s Hair Stylist Training Really Like? Posted on November 14, 2018 at 3:59 pm. Are you the Queen of Curls in your group of friends? Does everyone ask you for advice on products? Is your bathroom cabinet full of more hair supplies than anything else? Do you always have at least one bobby pin on you for emergencies? If any of these statements apply to you, have you ever thought about training to be a hair stylist? Thinking about taking any new step in life can be scary. There can be so many unknowns. Going back to school can be especially intimidating. You wonder if you’ll be good at it. You might worry about what the experience will be like and if the people will be helpful. The truth is no one can predict the future. But you can get as much information as possible before making a decision. Preparation will increase your confidence and prepare you for an exciting new life! Hair stylist training is about more than learning how to cut and style hair. Training includes the knowledge and techniques you’ll need to know to do your job and work in a business. To be a hair stylist you have to pass a licensing exam and understand the laws in your state. For any professional, it’s also important to have business management skills. Science is also involved! 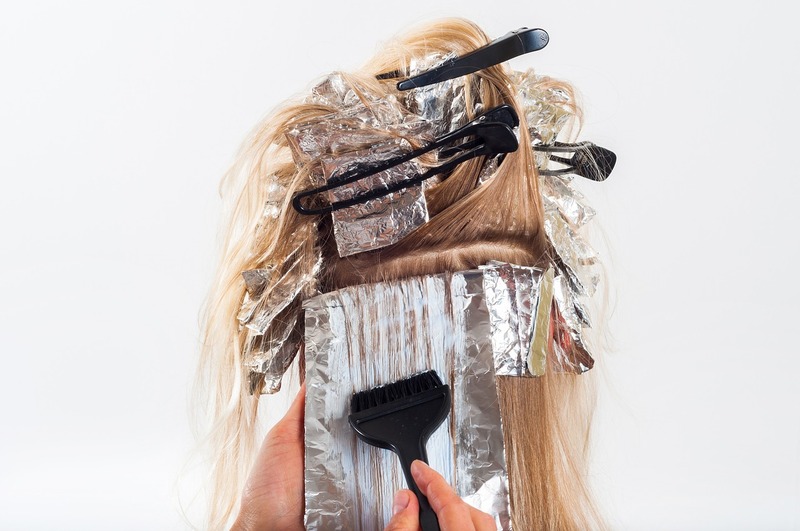 Hair services such as waving, relaxing, and coloring use chemicals. Many cosmetology training programs also include learning about facial makeup and nail care. Don’t let all those topics scare you off! They’re essential parts of your education, but so is some hands-on experience. Hair stylist training should always include working with real people (not just manikins). Most schools have a salon for this exact purpose. Students meet with real clients and offer real services. Trained instructors check the whole process offering advice and giving grades. Clients often get these salon-quality services at discounted rates. It’s a win for everyone involved! Use an online net price calculator tool to figure out what your education will cost. Remember, there are often other costs besides tuition. Depending on the school, you might have to buy books, supplies, and uniforms. But the good news is that you can claim most of those purchases as tax-deductible. Financial aid is available for those who qualify. You can also explore student loan options for your hair stylist training to delay paying some costs. Your school will have people who can help guide through all these processes. Hair stylist training transforms your passion into your job. And it can be a pretty good job too! The U.S. government predicts the job outlooks for barbers, hairstylists, and cosmetologists are growing. And growing fast—as in 13% faster than all other jobs. After you finish training, you’ll need to get licensed and certified. Then, you can start looking for work in spas, salons, and barbershops. The world will be your oyster. Ready to get more information? Want to talk to someone about starting your hair stylist training adventure? The Avery James School of Cosmetology is here for you in Lake Charles! Schedule a tour, contact us, or call (337) 477-9265. We’re excited to help lead you into your new life!